Carl Yastrzemski signed Official American League Baseball. 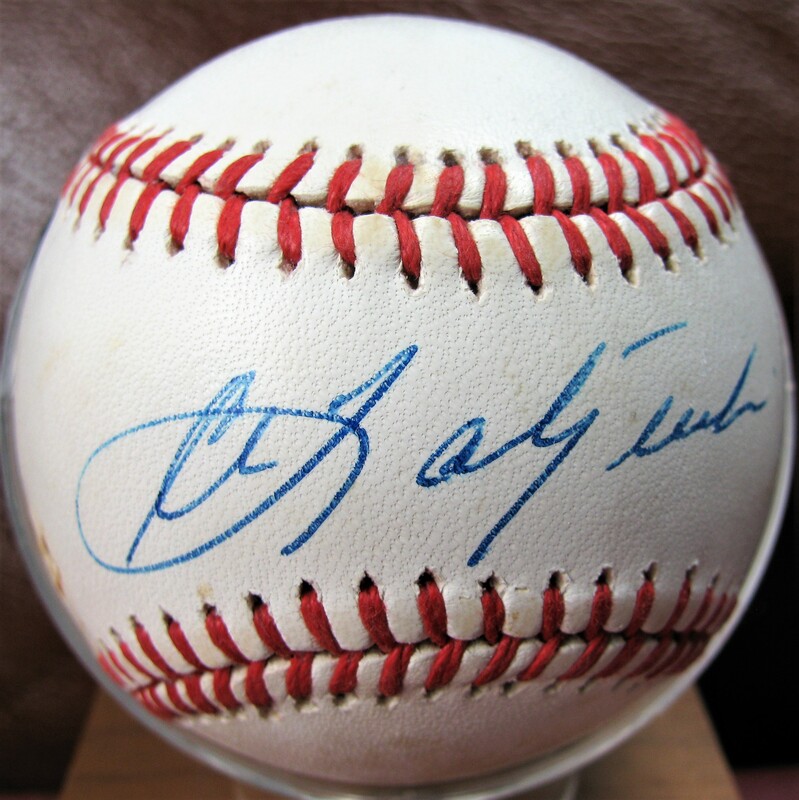 Yaz signed in blue pen across the sweet spot. 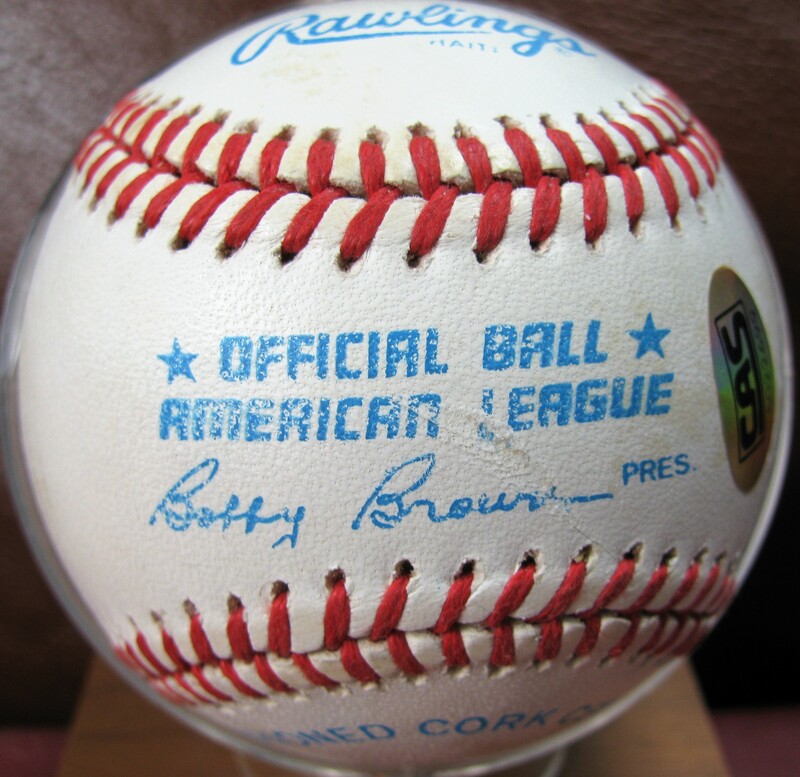 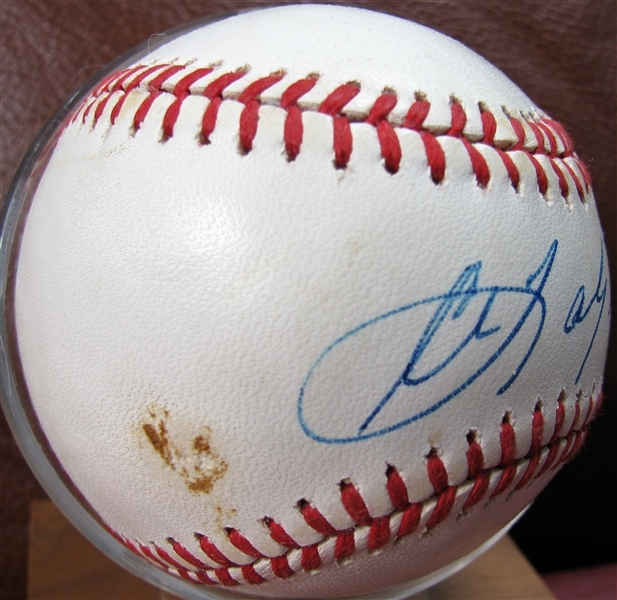 The ball has some light discoloration on one side panel along with a small stain, see picture. 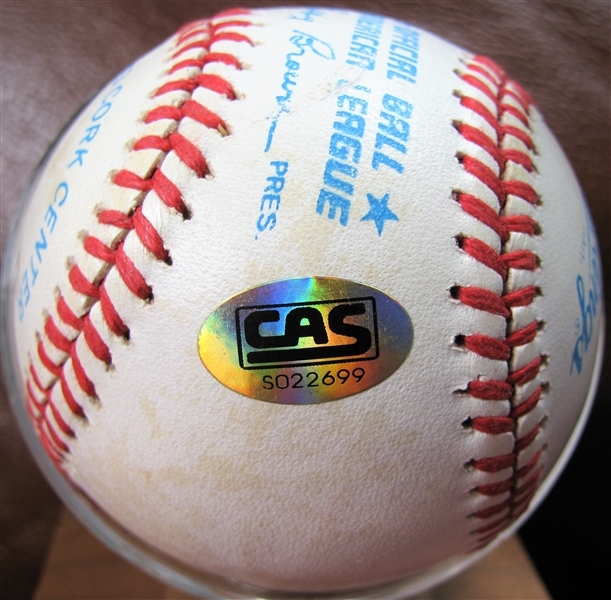 The ball displays nicely and comes with a COA from CAS Authentication.